Defend Afrin, defend the Kurdish nation’s right to self-determination, US and Turkish troops out of Syria! Kurds in northern Syria protesting against the Turkish invasion of Afrin displaying the portrait of their leader, Abdullah Öcalan, jailed by Turkey for 19 years. He developed Murray Bookchin’s theory of Anarcho-Stalinism; his role models are Nelson Mandela and Gerry Adams. The offensive by Turkey against Afrin began on January 21, two days after Russia withdrew its “military advisors” from the enclave. The offensive is against the Kurdish-led Democratic Union Party in Syria (PYD), its armed wing People’s Protection Units (YPG), and Syrian Democratic Forces (SDF). It was entirely predictable that the US would throw the YPG to the wolves as soon as they had served their purpose. Turkey is a far more valuable NATO ally ultimately and it maust repair differences lest Russia profit too much from them. Russia’s backstabbing of Assad over the Afrin attack has produced unexpected results. Now Egypt has backed Syria over this as they had allied with Assad over opposition to the Muslim Brotherhood in both Egypt and Syria. And there are yet more imponderable scenarios in the region, but the US is the hegemonic global imperialism pulling the strings as best they can. There is now a rapidly changing situation in northern Syria. The US announced on 14 January that it was forming a 30,000-strong border security force led by the YPG militia, effectively annexing part of Syria and consolidation their alliance with the YPG as their main allies in Syria. This provoked Turkey to invade Afrin to attack “the nests of terror” in Syria. Turkey invaded Syria first in August 2016 in Operation Euphrates Shield, primarily to prevent the YPG/SDF linking Rojova with the Afrin enclave, separated by about 40 Kilometres. It declared its operation over in March 2017 but did not withdraw its forces. From Afrin they have threatened to proceed to Manbij, which is west of the Euphrates and to cross the river itself to advance against Kurdish Rojava proper, making a confrontation with US forces practically inevitable. Alarmed at the effective annexation of Syrian territory by the US and the treachery of the Kurdish leadership Russia has withdrawn its air support and its troops from Afrin, thereby leaving it wide open to Turkish attack. The YPG has rejected the offer of assistance from Assad, on the basis that they would have to accept being an autonomous region of Syria once more. The support of Iran and Egypt might have forced Putin to deny Turkey access, but the YPG will not break its alliance with the USA and Israel. And it is now mooted that the USA may abandon Rojava and ally with the “more numerous Arab forces”; the 4,000 ISIS fighters whom they shepherded out of Raqqa perhaps for this purpose, who would be rebranded with other jihadists as champions of liberty and freedom. Gerry Downing commented: A very inadequate and one-sided RCG statement. It just does not look at the whole picture in the region and globally. Gerry Downing Commented: You can surely continue to support the right of Kurds to self-determination (in these circumstances) and their own state without endorsing the unprincipled and opportunist manoeuvring of the whole Kurdish leadership with their ridiculous Anarcho-Stalinist leadership. They think you can achieve local and regional liberalisation as the agents of the US, the global hegemonic imperialist power. They pretend not to see the role it is playing in the Middle East and North Africa. So, the Kurds are paying the price of the backward politics of its leadership. You really cannot achieve socialism in a single country. That was what was wrong with the RCG statement. But they are right in asserting the rights of the whole Kurdish nation to self-determination. They are a genuinely oppressed nation and do have such a right, the largest nation in the world without their own state. And they have fought long and hard with many heroic martyrs against the murderous Turkish state. Although Anarcho-Stalinism is apparently very radical with its women’s liberation and local autonomy etc. the urban Maoism of its leadership with its refusal to see the big picture – their heroes are Nelson Mandela and Gerry Adams who brokered such unprincipled compromises with imperialism. Of course, you do not make your main demand now the rights of Kurdistan to self-determination, as a client of the USA that is now a capitulation to US imperialism and a counterrevolutionary blow against Syria’s right to self-determination. Demand they change the leadership to one of opposition to US imperialism and supporting Syria’s fight, even if it means now reverting to be an autonomous region of Syria. Martin White commented: The Kurdish liberation struggle is one thing Nicki, the PKK/YPG something entirely different. The YPG do not represent the definitive struggle of Kurdistan, they currently find themselves in a similar situation to the Azov battalion in Ukraine in that they’ve become ‘regime-change’ tools of US imperialism (fact) and anybody that cannot bring themselves to criticise their current situation really needs to get their head around this…. Both Washington and Tel Aviv are funding and arming their struggle in Syria… how does that little “FACT” sit with your anti-imperialism??? The point is… Unless you believe that the US/UK and their NATO kill club have the right to go round the world changing regimes at will? then you must concede that only the Russian military, the Iranians, and Hezbollah have any right being in Syria right now…because they’re there with the express blessing of the Damascus government, duly elected by the Syrian people to thwart any attempt by ‘outsiders’ to bring about regime change. Turkey – the second biggest NATO army – is bombing Syria whilst you make wild comments about “Tel Aviv and Washington” supporting the YPG, meanwhile the Syrian government warned Turkey that their planes would be shot down, but are so reliant on Russia, that Russia’s gas pipeline deal with Turkey now takes precedence. 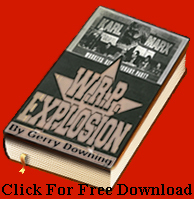 Gerry Downing Commented: You have deliberately ignored my central point here, Rosa Gilbert, the nationalistic agenda of socialism in a single country is completely bankrupt in a situation where one nation’s rights contradict another nation’s rights when they invite the assistance of the prime enemy of socialism in the planet (the USA) to assist them. You cannot advocate Kurdish self-determination with the assistance of the USA. It could not happen anyway as we are now seeing. This Kurdish Anarcho-Stalinist leadership are reaping the rewards of their unprincipled and opportunist alliance with Uncle Sam. As for changing horses in mid-stream we can never cross the stream of revolution on the horse of reformism or Stalinism, as someone once said (almost). Rosa Gilbert Commented: How dare you say they are “reaping the rewards” whilst civilians in Afrin and brave YPG fighters are being slaughtered by the fascist Turkish state. And to address your point about the US, the alliance between the SDF and the US was not to establish a Kurdish state but to assist in the fight against ISIS. Just as they did a similar deal with Russia in Afrin. But sure it’s easier to blame the Kurds who for 100 years have been forced to live within the confines of the imperialist-drawn borders of Turkey, Syria, Iraq, Iran which split their towns and villages in two in many cases, than to actually bother to criticise the role of the imperialist powers and NATO, the duplicity of both the US and Russia, which is much more complex and nuanced than your pathetic purity politics. Gerry Downing Commented: Ok. The Kurdish fighters are reaping the rewards of the treachery of their leadership. PS – Anyone who speaks of the duplicity of the US really has not learned the ABC of Marxism. Whilst disagreeing with the pro-imperialism of the Kurdish leadership it is nonetheless incumbent on us to defend the Kurdish masses, and in these circumstances, that does mean defending the Kurdish leadership militarily but not politically (their ethnic cleansing of Arab villages is reprehensible) against the Turkish onslaught. Ultimately a defeat for the YPG here would be seen as a defeat for revolutionary struggle in the region in general. Which is why the USA and Russia have withdrawn support. Martin White is an anti-imperialist activist from Bristol and a supporter of the Solidarity with Antifascist Resistance in Ukraine. John Wight is a leftist journalist and a regular contributor to the Morning Star.